The Enchanted Attic: Wrestling with Tom Sawyer by L.L. Samson. 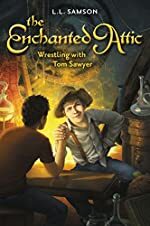 Review: If you want to read an interesting, book The Enchanted Attic, Wrestling With Tom Sawyer by L.L. Sampson is about how two boys (Joe and Tom Sawyer) from the past travel through a circle and meet Linus and Ophelia Easterday, and their best friend Walter. This meeting begins an adventure like no other. In the book, Linus and Ophelia Easterday and their best friend Walter find a secret underground tunnel in the basement of their own school. They go into the tunnel and find the circle É and Tom Sawyer. Tom falls in love with Ophelia instantly. After being exposed to a foreign, modern world, the group travel back into the tunnels to solve a murder mystery. After near-death situations, mysterious surroundings, and inner strife, Tom and Joe realize their time is nearly up. Can they solve the mystery and make it back to the circle in time? This book is for approximately 11yrs and up. To read the full book, go to your public or school library, check it out and enjoy! Review written by Tommy (6th grade student). We would like to thank Zonderkidz for providing a copy of The Enchanted Attic: Wrestling with Tom Sawyer for this review. Have you read The Enchanted Attic: Wrestling with Tom Sawyer? How would you rate it? Heart of Glass by Sasha Gould. A Sequel to Cross My Heart. Review: In a society of liars, who do you trust? In Heart of Glass, Sasha Gould conjures a painting of 16th century Venice, through the eyes of a 16-year-old girl, named Laura de Scolla. The sequel to the popular Cross my Heart, this book has gotten worldwide attention. Two months ago, Laura finds that her older sister, Beatrice, has drowned. Knowing that her sister wouldn't do such a thing, Laura joins the Segreta, a society of women who trade secrets for protection, and solves her sister's murder. Now, in Heart of Glass, everything is on track and rolling smoothly, where she is engaged to the Doge's son, Roberto. But, when disaster is least expected, Laura finds Roberto, standing next to a dead girl. The Ottomans visit, and Prince Halim is on the prow of their ships. The Ottoman prince declares the dead girl his sister, and chaos erupts. Now, Laura de Scolla is trapped between two struggles: to liberate Venice, or liberate her soon-to-be husband. She is in a deadfall conspiracy, encompassing nearly everyone she knows. The book is perfect. Sasha blends a perfect potion of fast-paced action, light comedy, and suspense. Heart of Glass targets teenagers of both genders. For boys, it is the fantastic suspense, and for the girls, the romance and the character of Laura, along with the fantastic adventurers, are captivating. This is the type of book that I generally don't read, but it took me by surprise. The action, the mystery, and the suspense were all factors to how marvelous the plot was. The mood of the story knots together with the action and suspense in an entangled but perfect manner. Generally, fantasy books are my target, but in this special case, Heart of Glass seems to be above my standards. Even if this isn't the type of book you'd typically read, give it a chance. You'll see it's well worth it! Review written by Vincent (6th grade student). We would like to thank Random House for providing a copy of Heart of Glass for this review. 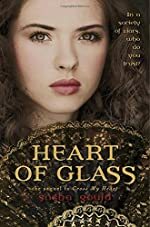 Have you read Heart of Glass? How would you rate it? When the Stars Threw Down Their Spears by Kersten Hamilton. Book 3 in The Goblin Wars. 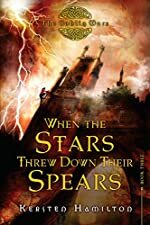 Review: A highborn/ human girl named Teagan, her brother, Aiden who she hasn't seen for a while, her father who she has been traveling with, her best friend Abby, the boy she likes Fin, and an angel Raynor make up the character in The Goblin Wars-When the Stars Threw Down Their Spears by Kersten Hamilton tells a story of a highborn (a creature that lives in a world called Mag Mell) named Teagan who has to face cat-s’dhe, other highborn, and an evil monster who goes by the name Mab. This is the third book in its series. Teagan meets up with Aiden and tries to keep him out of the clutches of Mab, who is trying to obtain Aiden's song named The Minstrel Boy. Teagan also has to battle cat-s’dhe, Mab, and other large and intimidating creatures. She also has to face seeing Fin and realizing that he would always be in her life. Fin also has to face problems too. He has to prove himself to Teagan's father before he is allowed to marry her. Aiden has to be kept hidden away to be safe from Mab. Her father knowing that he won't be around forever he tries his best to keep his daughter and son safe at all times. But mainly the story is about trying to keep Mab away from Aiden. Kersten Hamilton lacks necessary components to most of the characters like a backstory about relations with the characters. But in what she lacks she makes up for in the plot and the rest of the book. She also creates an amazing atmosphere of tension between Fin and Gil. She creates strong tension between Teagan's over protective dad and Fin. 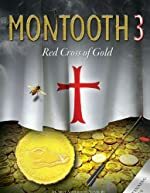 The story has amazing details, which the reader uses to create great mental images and be involved deeply into the book. The final thing about the book is that the way the story is written is what I like best about it; Hamilton has a way of making books come alive and a way to keep the reader interested in it and go out to read more and more of this. Since this book is third book in its series go check out the first two and find out what lead up to this. This book is recommended for girls for romance and boys for action, but it could be reversed. Also there are some gory details that might offend some children and even adults too. So The Goblin Wars-When the Stars Threw Down Their Spears is recommended for 10-13 year olds for language and the content of the plot. Review written by Jarred (6th grade student). We would like to thank Houghton Mifflin for providing a copy of When the Stars Threw Down Their Spears for this review. Have you read When the Stars Threw Down Their Spears? How would you rate it? 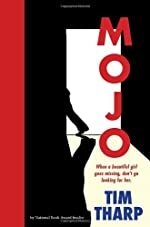 Review: Finding dead bodies, getting arrested for stuff you didn't do, that is what happened to Dylan in Mojo. This is an amazing book written by Tim Tharp. Dylan is the tough protagonist that has most everything happen to him. To begin, a beautiful girl goes missing, and a kid named Dylan finds the body bag in a trashcan. Dylan is treated like he killed the girl and stuffed her into the body bag. Even the police push him around like he does drugs and killed the girl. Then another girl named Ashton Browning is found dead in the other side of town. There are many suspects. The closer Dylan gets toward the truth, finding the murderers, the higher the stakes of this game are getting. Will Dylan get caught? Since I am not a fan of mysteries, I didn't really enjoy the book. The book, on the whole, didn't keep my attention. There was definitely action, but there were also slow parts. For example, in Chapter 1 was a place with a slow story line until Dylan found the dead body. Unlike In Chapter 9 there were cops showed up outside of Dylan's tent. In my opinion, I think this book is more for boys because the protagonist is male. In addition, boys would enjoy the chase scenes and the danger involved. This book is good for 6th graders and up because there is a lot of racism and things little kids shouldn't know. Since I do not prefer mysteries, I am not the person to go to if you want to know what a good mystery book is, but I would suggest Mojo. Review written by Ben (6th grade student). We would like to thank Random House for providing a copy of Mojo for this review. Have you read Mojo? How would you rate it? Dead River by Cyn Balog. Review: We were spending a weekend on the DeadÉThe Dead River, I thought it was going to be just usÉ I was wrong." This was the hook that brought me to this book. Once I read this short little sentence, no other book got in the way. Cyn Balog has written other books, however this book is not in a series. All though I personally wish it was; I just want more to happen to Kiandra, who used to be a normal 17-year-old girl. The book takes us through what seemed like an ordinary 17-year-old New Jersey girl's life, a girl who wants to go to prom with her boyfriend Justin. The reader learns that she actually wanted to the Dead River with three of her friends. It all starts as a normal weekend, then her boyfriend drops a bomb shell on her---"I kissed her, I kissed Angela" (Kiandra's, "best" friend) "What" I say, "he doesn't repeat it, he doesn't have to." Well that sets her off, and she runs out of the door. When she finally comes back, it is very, very late; Justin and Angela start to worry. Kiandra steps into the room, but for some reason the two don't notice her. Kiandra screams and screams at them, but they don't hear her. Finally, Angela stands and walks toward her, walks right through her. "I was freaking out. What just happened to me!" We break out the woods, near the service entry to the building. I'm about to say that this looks like a good place to dump the body when a voice calls, "Stop! "É I have one word for Cyn Balog's Dead River, AMAZING! It is exceptional! I am surprised how much I like this story, because, in my opinion, it is a little boring in the beginning, the reason being that it is just about prom. Then, on their vacation weekend, the action starts to pick up. Kids and ten and older, boys and girls should really read this book. I am thinking this way because, in the beginning of the book it's all about prom and girls would generally enjoy that part. 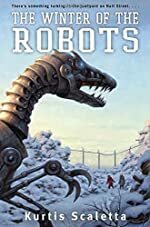 I believe boys would I hope really enjoy the rest of the book, it would probably be way too scary for kids under that age group, but a thrilling book for people ten and older. Some reasons for my thinking are the book mentions evil sprits and ghosts. Now I am sure that is fine with the target audience, but for little kids that might be too scary. In my opinion this book deserves a five star rating for an excellent story line, plot, characters, and fright. Overall, this is an extraordinary book written by a talented author. Most importantly, readers will want to find out what happens on the Dead River! We would like to thank Random House for providing a copy of Dead River for this review. 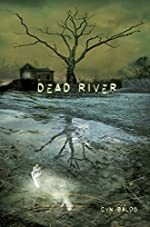 Have you read Dead River? How would you rate it? The Time Fetch by Amy Herrick. 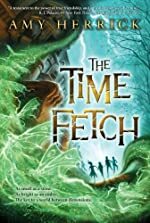 Review: The Time Fetch by Amy Herrick takes Edward, Danton, Brigit, and Feenix on a magical adventure full of thrilling suspense in the middle of a cold Brooklyn, New York winter. Their unusual adventure began simply as a science class project for Edward, but soon it turns into a disaster that may end the world if Edward does not return the "time fetch" to the Keeper. To get to the Keeper, Edward and his friends have to gather clues, get through difficult obstacles, and keep the time fetch safe from the Unraveler. If the Unraveler gets the time fetch, he will use it to end humanity! One cold winter morning, a teenage boy named Edward realizes he needs to bring a glacial moraine rock for his science project. On the way to school, he desperately looks for a rock and finds the time fetch that looks like an ordinary rock. He does not realize the magical powers of this rock as he awakens the foragers living inside this rock with his touch. The foragers will eat up time due to the early awakening caused by Edward. If the time fetch rock is not returned to the Keeper, the foragers will eat "their way through the earth, leaving behind a growing snakelike crevasse" and the whole world will "fall away into a bottomless nothing." As Edward and his friends are pulled in a mind twisting adventure, they must keep the fetch away from the Unraveler who will use it to end the world. Unfortunately, time is getting eaten up quickly and they must work together to find clues that lead them to the Keeper. Will they return it to the keeper or will the Unraveler get hold of it? And will time and the world get destroyed? The Time Fetch is an extremely good book. The author leaves her audience hanging at every page in this mind twisting adventure with magic at every corner. I really like how all of the main characters came to know each other because they were trying to save one another. For example, Feenix was about to get eaten by ugly, evil witches, and Danton, Brigit, and Edward came in at the last second and pulled Feenix out of the witches reach. I also really like when the Unraveler was trying to hypnotize them. While Edward, Danton, and Feenix were trying to snap out of the spell, Brigit was the only one strong enough not to get effected by the spell. 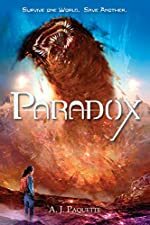 As a middle school reader, I would rate this book with 4 1/2 stars only because some parts of the story were somewhat confusing and random events happened. For example, while they were running for their lives they suddenly became older and taller. Danton realizes this as he says to Feenix, "I think that you are 4 inches taller than you usually are." I say that this book is meant mainly for boys because of the frightening and death related chapters. Many juicy details are provided while keeping the thrilling suspense adventurous for the reader. For instance, Òthe bakery collapsed, and all that remained was a smoky dustÓ is the author's excellent attempt to provide very descriptive details about the ruins of the buildings and the houses. This book has lots of violence with some very frightening moments and the mention of blood in a few of the chapters. Even the back cover of the book states "This is a dangerous time." Along with the violence, this book has some advanced vocabulary that is age appropriate for 10 years old and older. Children under 10 would not be able to fully understand this story. For this reason, I recommend the minimum audience age for this book be 10 years of age. Overall, The Time Fetch is a very interesting book, and I highly recommend it! Review written by Mihir (6th grade student). We would like to thank Algonquin Young Readers for providing a copy of The Time Fetch for this review. Have you read The Time Fetch? How would you rate it? Sky Jumpers by Peggy Eddleman. Review: Maybe you've heard of a cliffhanger--- this book is cliff jumping for a way of life. 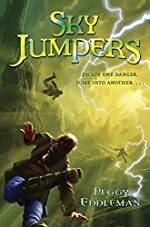 The book Sky Jumpers was full of suspense and written by Peggy Eddleman! The main character is Hope Toriella, a twelve-year-old girl living in a post world war three world. Sky Jumpers is really a good book for both girls and boys because the book has so much suspense and the story line is really intended for either gender. I also think that the book would be for 6th grade or higher because of the complexity that it provided. For example, words like Ameiphus were really hard to understand. I loved how they made the suspense continue for so long that you could read for the whole day and not leave a suspenseful part. For example, when I read that a battle was going on between a village and bandits trying to raid them and kill them, I continued to read for hours. Not only that, but when you felt that relieved feeling and you think everything is safe, then next thing you know you're filled with suspense. For instance, Hope gets away from the bandit, and the next thing you know the bandit is right next to her threatening to burn down her village. I think a person in middle school or higher should not pass this book on for something else because I assure you that this book will be better than the next book you select. I also really liked it because it was kind of an underdog story, and it really changes your view on the world. The reader will become immersed in the futuristic time period. This book has you turning the pages until there are no more to turn. Check out Sky Jumpers now! We would like to thank Random House for providing a copy of Sky Jumpers for this review. Have you read Sky Jumpers? How would you rate it? Review: If you are someone who loves books about teens going through tough times and trying to figure out who they are, then The Secret Ingredient by Stewart Lewis is a great book that you will love. In this book, the protagonist is Olivia, a 16-year-old girl living in Silver Lake, California with her two dads, Enrique and Bell, and her brother, Jeremy. The family restaurant, called "FOOD" is going out of business, and Olivia decides to get a job to earn money to save the restaurant. Olivia then meets a woman who gives her information for finding her birth mother. Once Olivia finds her birth mother's address and name, she searches to find her because she believes that HER MOTHER is the secret ingredient for saving the restaurant and giving her a mother she always wanted, but never had. The Secret Ingredient was a very well written book and gives very vivid details on all the events in the story. For example; "She stares at me for what seems like an hour, then finally pushes the button and goes back into stranger mode. As we wait for the maintenance guy to radio in, she barely looks at me, until the elevator finally starts to move and we reach the casting agent's floor." This is an example of Olivia explaining how the lady stared at her. Also, I do believe that this book is intended for girls more than boys because it is from the perspective of a girl, and it is about how she feels about not having a mother. "But if I could change one thing, I would add a mother." I also believe it is for more mature older girls rather than immature girls because some of the events in the story are more mature. If I had to rate this book from 1-10, I would definitely give this book an 8, because I really enjoyed the storyline and the overall feel of the story. The story was really interesting because there are not any other books I have read that have such a fascinating story line. Secret Ingredient is a book mainly about learning to appreciate what makes you different from everyone else and, about love and finding out who we really are. Review written by Laura (6th grade student). The Watcher in the Shadows by Chris Moriarty. Sequel to The Inquisitor's Apprentice. Review: How could no one have heard his last words? Watcher in the Shadows by Chris Moriarty is an average mystery book. The main character is Wolf, a man trying to find out who killed a famous clarinet player named The Klezmer King, Asher. Two people named Sacha and Lily assist Wolf in trying to find who killed The Klezmer King, Naftali Asher. Watcher in the Shadows is the second book in its series after The Inquisitor's Apprentice. A man named The Klezmer King, Naftali Asher, dies mysteriously during his clarinet recital, so an Inquisitor named Wolf assisted by Sacha and Lily come and try to investigate everyone at the recital. Wolf was one of, if not the best, interrogator. A lady explains she heard The Klezmer King and his dresser, Sam, arguing. Sam may have been a little boy, except he was very intelligent. He always worked on The Klezmer King's clothes to make them look more fancy than they used to be. Could he have sabotaged The Klezmer King? He was always very kind though; he wouldn't hurt anyone it was out of his nature. Wolf tries to see if anyone heard The Klezmer King's last words because they could have been the killer's name. Somehow no one heard his last words. Could Sam have killed the Klezmer King, Naftali Asher? Watcher in the Shadows was an average book that I would recommend for boys and girls between the ages of 11-15 who like mysteries. I think this because it uses words like "synagogue" and "hippodrome" younger kids might not know the meaning of these words. The book is a little hard to get into until you read farther. Don't read this if you haven't read the first book because you won't understand much of the book. 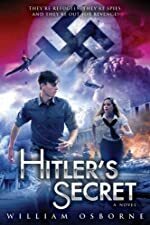 I liked the plot, but it changes from the prologue. People are looking for a kidnapped girl and then the plot switches to people who are looking for a murderer. It goes from kidnapping to someone dying. The dialogue kept my attention, but there are a lot of things that happen you might not comprehend unless you read the first book. In summary, you should read this book only if you've read the first book in the series. Readers who are acquainted with the first book will enjoy mysterious chapter endings and the action in each chapter. Watcher in the Shadows is great overall for people who like mysteries! Review written by Zachary (6th grade student). 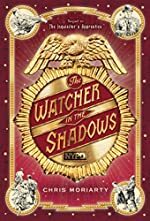 We would like to thank Houghton Mifflin for providing a copy of The Watcher in the Shadows for this review. Have you read The Watcher in the Shadows? How would you rate it?